Are trading books in your country expensive? Can’t find the trading book you want in your local bookstore? If so, I have good news for you, especially if you are from Mexico, India, New Zealand, or Singapore. If you live in one of these four countries, you can now get your wish list of trading books delivered to you for free by Amazon.com. Enjoy FREE AmazonGlobal Saver Shipping while getting your trading books at affordable prices. What’s the catch for getting free international shipping from Amazon.com? You need to buy at least $125 worth of products. Since most trading books cost less than $125, you will definitely need to add a bundle of trading books into your shopping cart to enjoy this free shipping offer. 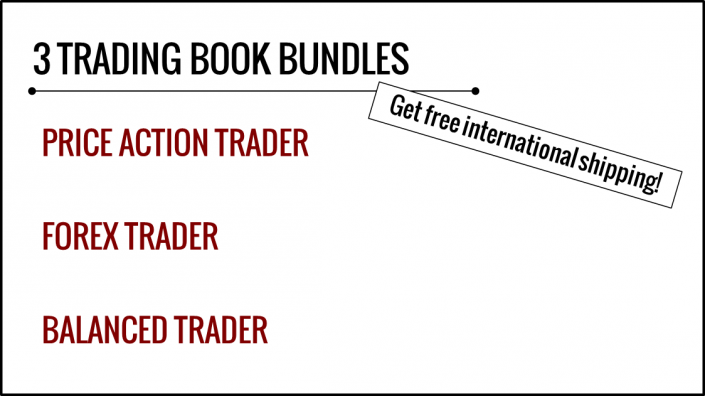 There are three bundles of trading books below for different types of traders. Each bundle costs a little more than $125. We have also compared the price of each bundle on Amazon with that on Book Depository (which offers free international shipping to most countries). For each bundle, Amazon offers a lower price. Basically, these are perfect trading book bundles that qualify for FREE AmazonGlobal Saver Shipping. This is Al Brook’s first book on price action trading, which is one of the very few authoritative books on reading price action bar by bar. It covers price action in trends, ranges, and for reversals, providing a cohesive framework for understanding market phases for price action trading. Due to popular demand, he has gone on to produce a series of three books to elaborate on the concepts mentioned in his first book. However, the first book remains an excellent work that encompasses all of his major price action trading ideas. It is a cost-effective alternative to buying the newer three-book series. Al Brooks offers valuable and unique ideas for price action trading and analysis. However, it is not a complete guide for traders. Adam Grimes’ book below fills in for that. This book by Adam Grimes is extremely well-organized. It explains market structure and price action within a holistic framework, before diving into different types of practical trading strategies. This book, which received excellent reviews from its readers, offers an organization of ideas that is less clear in Al Brooks’ book. Other than explaining the market structure, Adam Grimes also included sections on risk management, trade management, record-keeping, and other extremely relevant topics geared toward retail traders. Anna Coulling’s book on volume analysis offers great insights into the most important volume tools and how price and volume relate to each other on a fundamental level. Volume is one of the best complement to price action. For a winning recipe, observe price action and integrate volume analysis. Thus, this guide completes our value bundle for price action traders. If you have a larger budget for investing in your trading knowledge, take a look at our Top 10 Price Action Trading Books. The currency market has its peculiarities related to time zones, news events, and volatility. While you might find these information thrown all over the internet for free, this book offers you these information from a credible figure in trading education. Hence, it is a great book to kick-start your forex trading journey. Check out this MOMO strategy from Kathy Lien. The strategies within this book are practical and offer many options for different time-frames and trading styles. In addition, the strategies are specific and include clear examples. Augustin Silvani’s book is not about the basics of forex trading. It is about perspectives. It shows you the dealer’s perspective. More importantly, it shows you the ugly side of the forex market, especially when it comes to the disadvantages of being a retail forex trader. Even if you do not end up applying the recommended strategies, reading this book gives you a stark idea of the how the game is rigged. Your perspective deepens, and you can improve your own trading strategies with these new insights. This book by Anna Coulling (again) offers a clear framework for understanding the price movement in forex markets. The three dimensions refer to relational, fundamental, and technical analysis. Relational is another word for inter-market analysis. As with her other books, her writing style is clear and honest. For those confused by fragmented trading strategies, Anna Coulling’s book is extremely beneficial. It shows you the bigger picture and how to structure your trades within that macro context. Due to the high volatility and liquidity in currency markets, scalping for small profits is a very popular trading style among forex traders. However, the demand for these extremely short-term trading strategies is met largely by contributors sharing in forex trading forums. Bob Volman’s book is the only one that focuses on scalping in the forex market. He uses pure price action within very fast tick time-frames to find clear and effective scalping setups. Bob Volman’s unique style completes our trading book bundle for forex traders. Suppose you just want to get your feet wet and start learning about trading. However, you are not sure which market, trading time-frame, and trading style suit you. In that case, this is the bundle for you. It has three well-reviewed trading books that traders had raved about and are still raving about. And they are equally applicable regardless of your choice of trading market, style, and time-frame. This guide is a must-have for a thorough education on technical analysis that includes its theoretical underpinnings and basic tools like chart types, chart patterns, and trading indicators. On top of that, it dedicates entire sections to Elliot Wave, volume analysis, time cycles, point and figure charting, Japanese candlesticks, system trading, inter-market analysis, market breadth, and market profile. Its scope is not limited to analysis techniques but also extends to money management and trading tactics. Is there anything John Murphy left out? This classic book by Alexander Elder managed a fine balance of three key trading topics and offers a great read for any trader. Being a psychiatrist and a trader, Alexander Elder’s discussion of trading psychology is insightful and practical. Couple that with sound trading tactics and a simple-to-follow money management rule and you get a rounded trading perspective. Check out the Impulse System by Elder. You will not find the best trading strategy in this book, so do not look for it. 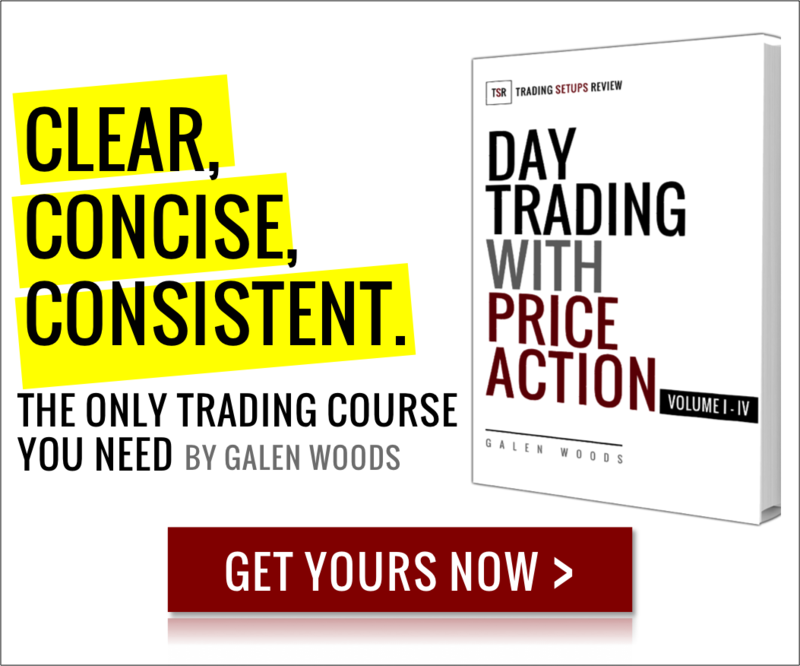 The value of this book lies in the way it combines different important aspects of trading in a sensible way that is extremely useful for new traders. This book is not about trading strategies. It is about something more important. It is about changing our beliefs to attain trading success. Human minds are not naturally comfortable with probabilistic thinking, which is necessary for trading success. Mark Douglas’ book highlights this fact and uncovers the mindset of a winning trader. For most traders, overcoming psychological barriers is the key to consistent trading profits. Some traders might find that the book belabors the same few concepts. However, these concepts are so critical for trading successfully that I think the overemphasis is justified. This might be the one book you need to read for achieving consistency. If you are in the U.S., get Amazon Prime for free two-day shipping with no minimum purchase and get your trading books without delay. Get a free trial now. If you stay in Mexico, New Zealand, India, or Singapore, choose one of the bundles above and get free shipping. We have verified that the bundles above qualify for FREE AmazonGlobal Saver Shipping. If you alter the contents of the bundle, be sure to check if the bundle still qualifies for free shipping. To do so, proceed to checkout and click until you reach the “Choose your shipping options” page. (Don’t worry, you won’t be charged before you choose your shipping option.) 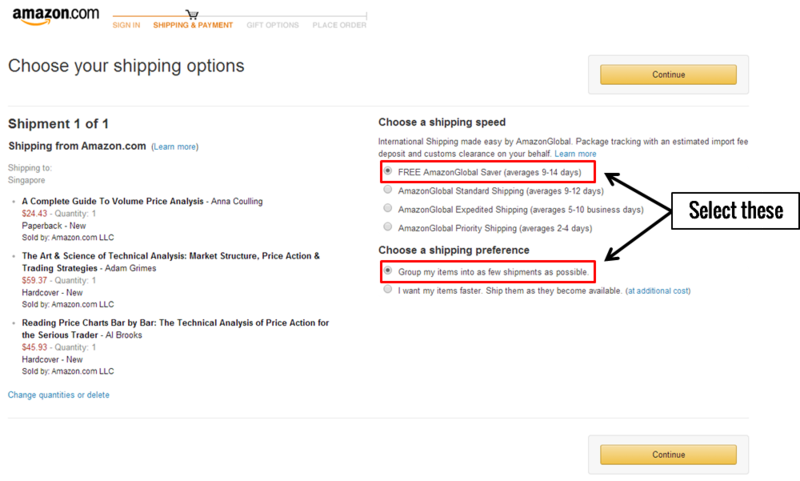 If your purchase qualifies for free shipping, you will see the FREE AmazonGlobal Saver Shipping option as shown below. If you stay outside U.S. and the four countries listed above, check out Book Depository which offers free shipping to most countries without any minimum purchase. Their trading books generally cost slightly more than Amazon’s. However, if you do not get free shipping from Amazon, buying from Book Depository is likely to be more cost-effective.